ARUP is pleased to offer clinical reference laboratory testing on the Federal Supply Service (FSS) Schedule 621 II, Medical Laboratory Testing and Analysis Services, contract # V797P-7211a. ARUP offers the majority of its testing on our GSA Federal Supply Schedule (FSS) 621II contract #V797P-7211a. For testing performed by ARUP, but not available on the GSA contract, also referred to as "open market," please see our full laboratory test menu. To include open market tests on a GSA FSS procurement, please contact your local contracting officer and refer to FAR 8.402 (f). MD and PhD faculty members from the University of Utah serve as ARUP’s medical directors and consultants. Active research and development programs focused on new technologies and tests. Testing performed 24 hours per day, 365 days per year at one central facility. Online training for infectious shipping. Maximum order: $100,000 per order. Service coverage: 50 states (does not include Puerto Rico). Place of performance: Salt Lake City, Utah. a laboratory information system (LIS) interface, or manually by ARUP paper requisition through established task order or blanket-purchase agreement. tests exceed these limits due to the nature of the test. Payment address: ARUP Laboratories, PO Box 27964, Salt Lake City, UT 84127. $1 million per occurrence through Marsh USA Risk & Insurance Services. ARUP’s in-house test menu accommodates over 99 percent of testing requested by its customers. The fees for testing referrals to ARUP’s affiliated referral vendors are published in the Federal Supply Schedule fee schedule. These tests are not performed at ARUP Laboratories and therefore the pricing is not set by ARUP. In the event that the send-out reference laboratory increases or decreases its invoice price to ARUP Laboratories, ARUP shall adjust the price on FSS 621 II and to all authorized FSS clients, commensurate with the increase or decrease to ARUP. Increases and decreases will be adjusted annually in the month of July. Send-out tests are excluded from the requirements of 552.216-70 Economic Price Adjustment—FSS Multiple Award Schedule Contracts, 552.238-75 Price Reductions—Price Reductions (May 2004), and I-FSS-969 Economic Price Adjustment FSS Multiple Award Schedule, and are non-discountable. ARUP’s invoices are due in full upon receipt and must be paid in accordance with in accordance with the Prompt Payment Act (31 U.S.C. 3903) and prompt payment regulations at 5 CFR Part 1315. ARUP understands the challenges associated with converting from one reference laboratory to another and endeavors to assist new government clients make the transition from their former provider. ARUP provides conversion assistance in the form of client support specialists, interface-implementation support, baseline testing, parallel testing, and training. Your account executive will coordinate with you to prepare a specific conversion plan and timeline customized for your site. ARUP’s client support specialists are unique in that they are trained ARUP specimen processors who understand what is required to get samples through ARUP’s accessioning area as quickly and efficiently as possible. They use this knowledge to train new and existing clients on how to prepare samples for prompt accessioning. They are available for new client startups and new and existing system-to-system interface startups. As part of ARUP’s ongoing quality assurance program, the client support specialists track client sample submission trends. A monthly report is generated and is shared with clients and ARUP account executives. If a government client receives a greater than average number of sample submission issues, a government client support specialist may be requested to visit the government client for additional training. These visits provide ARUP with the ability to see client processes at work and discover, first hand, reasons for specimen submission problems. The specialist is then able to work on an individual basis with each client in order to improve processes. ARUP’s Interface Support Team installs new interfaces and provides ongoing support for established interfaces. An interface support specialist is assigned to each interface project and works directly with the government client and their LIS vendor for the duration of the project. The interface support specialist provides necessary procedure directory information, answers all related questions, provides test plans and scripts for interface validation, and works with the LIS vendor and the client to help solve communication problems or other issues during the interface implementation phase. Certain laboratory tests are repeated over time to monitor disease progression or reoccurrence (e.g., tumor markers). Because of method variations, there may be a need to establish patient baseline levels for testing being converted to ARUP. ARUP offers new clients the opportunity to baseline specific patients at no charge for a defined period. The frequency of testing will be determined by the historical frequency for the patient being baselined and the specific pathology being monitored. 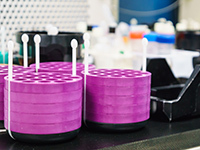 When methodology validation is required as part of the conversion process, ARUP will perform parallel testing up to a maximum of 15 split-sample comparisons per assay for assays performed in-house by ARUP, depending on specimen availability and test complexity. The results of these blind sample comparisons will be shared with ARUP so that both ARUP and government clients can learn from the split-sample comparisons. ARUP may perform these split-sample comparisons at no charge as long as patients are not billed for the free testing provided by ARUP, and the cumulative value of testing performed in a defined 12-month period, based on test price, does not exceed the lesser of 1 percent of the government client spend for services during the designated 12-month period preceding the reques or $10,000. Each defined 12-month period will commence on the anniversary of the effective date of this agreement. ARUP reserves the right to consider extraordinary requests on a case-by-case basis and may negotiate separate terms. Such requests may include but are not limited to: complex tests, tests for uncommon diseases, and samples that because of the critical stability or the rarity of the sample may not be readily available. ARUP will provide on-site training and support for all employees who will process, order, package, and ship specimens to ARUP. For more information, please visit www.gsaadvantage.gov. This information is presented for informational purporses only. Any inconsistancies shall be governed by contract V797P-7211a.